Imperial is proud to present its premium licensed NFL Director's Chair in Table Height! Enjoy the game in any room of the house or outdoors . Very contemporary design, featuring black stained hardwood, paddle arms and a straight line leg rack. Custom manufactured for you in the heart of Tennessee. 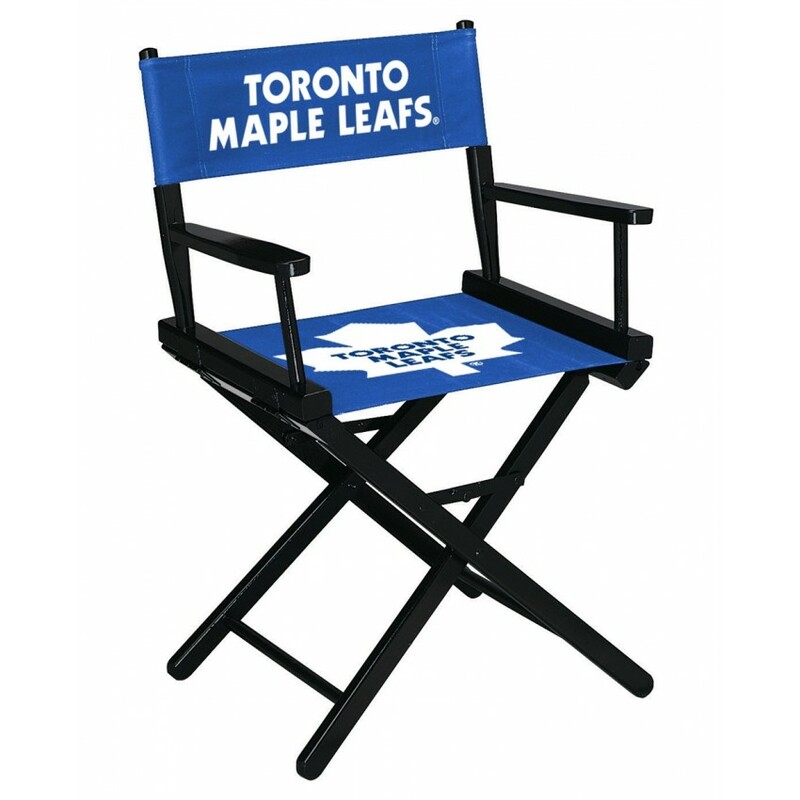 Logos are screen printed on the back and seats of a high quality 16oz duck cloth canvas. The Home Team Recliner has a brand new look but is still the most comfortable recliner you can imagi.. This deluxe 16" x 20" setup frame with team logo is a perfect addition for the collector looking to .. Score! Ultimate Collectors 5 Puck Display case has a lid made of the highest quality 1/8" cast acryl.. This hockey puck has been personally hand-signed by Seth Jones with the inscription ''NHL Debut 10/3.. This New Jersey Devils deluxe 8" x 10" set up frame with team logo and nameplate is a perfect additi.. NEW!! Don't pick and choose, display all 60 pucks with this beautiful Caseworks case. Our 60 puck ca..
NEW! Our first Liberty Value jersey display case! No wood frame, no worries. This case is simple to ..
Boston Bruins Cue Rack in Chardonnay Finish by Holland Bar Stool..